With our independent schools' conference fast approaching, we are delighted to give you some insight on what to expect on the day. 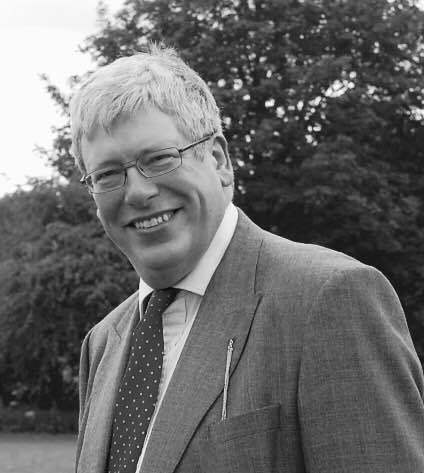 Thomas Packer will be delivering two fantastics workshops: The Media – Friend or Foe, Good News or Bad? and Problem Parents in Independent Schools? Yes, They Can Exist. Workshop: The Media – Friend or Foe, Good News or Bad? - How an independent school can best control the media. Independent schools love a good story in their local paper, or better still, one of the nationals. Yet, schools, like any other organisations, can suddenly find themselves victims of a hostile media with devastating effect. Equally, the media can be a useful ally when developing the reputation of your school, building pupil numbers or communicating change. There is no doubt that, apart from word of mouth, positive media releases provide the best opportunities for marketing and public relations. Every school up and down the country needs at least one person to be media savvy. This good humoured workshop will provide practical tips you can take back to school with suggestions as to how to handle the media effectively; putting you and keeping you in control. There are two aspects: dealing with a friendly press, helping you get articles published about the school when there good news to be shared. The other is how to deal with the media when they become unhelpful. When a crisis happens, whether it’s the school’s fault or not, there’s no time to waste. You certainly can’t hope to keep out of the public gaze or bury the bad news by reacting to a hungry media on the hoof. This workshop will help you prepare for a crisis, and in particular how to handle the media in the event of a calamity. Even a terrible scandal can leave the reputation of the school untarnished or even enhanced by skillful communication with the Press. Whether you have something you would rather the public did not know about or if you have good news you’d like to everyone to share then this workshop is a must! Workshop: Problem Parents in Independent Schools? Yes, They Can Exist – Practical tips for dealing with difficult parents most effectively. Parents – we can’t exist without them! Most encounters with parents are a delight. But there’s a small, but loud, minority that can wreak havoc if left unchecked. Many of those who work in schools will have encountered a difficult situation with a parent at least once. Whilst senior leaders might be able to calm parents down, they nevertheless find the experience wearing and time consuming. Less experienced teachers and secretarial staff – often on the front line – find it more difficult to deal with some parents who can be very intimidating or even aggressive. Such encounters can escalate to a situation where awkward conversations are avoided, or a there is a complete breakdown in communication. This has never been more prevalent than in Independent Schools, where parents are driven partly by the current concept of ‘consumer care’ embedded in educational culture together with the quite natural desire to see their children thrive, repaying the enormous financial sacrifice that they are making. Concerns range from serious issues such as academic results or accusations of bullying to seemingly more trivial such as their child’s participation in the School Play or in a Sports Team. This workshop looks at the issues that can lead to parents becoming frustrated or angry. The emphasis throughout is on useful, practical tips, illustrated with some amusing anecdotes, that you can take back to School. Managing difficult parents can only be beneficial for all; increasing school effectiveness and reducing stress levels. You will come away with some strategies to share with your colleagues on how to manage difficult meetings, including that stressful surprise encounter which takes place out of the blue. For more information on the conference and to see all trainers and their workshops, please download our brochure here. To book your place on the conference, visit http://www.dragonfly-training.co.uk/course/booking/independent/863 or call our office on 029 2171 1787.